DASH! AHHHH! HES A MIRACLE! While doing extensive research on many different subjects like the infinately clever person that I am - I managed to trace Dash's name back to Ancient Greek times! So, for those of you who wish to know what his name actually means - I shall now tell you! Yes yes! You heard it here first! Dash, just a quick note to let you (and everyone else who stops by your profile) know that you're the pimp daddy of cool, and I'm very proud of you - you are an awesome Padawan! Everyone do the Dash Dance! This comment was edited by Virtue on Dec 21 2006 02:02pm. I hope you are doing well. It would be nice to hear from you, even if you have no intention of playing or interacting It would be nice just to know you are feeling okay. Do you still play the game at all? If so, where? 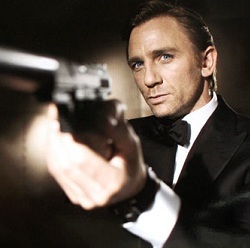 Who do you think the new Bond should be? Are you excited for Rogue One? Not sure how it will be, but I'm always excited for a new star wars movie! Wish they would make the older books into movies though. DASH! AAAAAAAAAAAAAAAAAAAA! SAVIOUR OF THE UNIVERSE! Just seen your post before I go to bed. I'm hoping to get someone else interested, but he won't be as active as I can be. But as a few still get on-line, maybe more will follow. This comment was edited by Maher on Jan 28 2016 10:53pm. Hello, master. I am sorry, but I can't do Monday 8PM, since I will be working at the restaurant. I usually do in the evenings.. Maybe later that day, I think I might be home after 10PM. But if you have time Tuesday during the day, I think I might make it work. After that I will be going away for the New Year's Eve and I will be back after Janurary 2nd. The Force is my ally.. and a powerful ally it is.. If anyone feels like playing some jk2 with me - I'd recommend the new jk2mv patches which make the whole experience much more enjoyable, without changing the core system. I've been playing off and on for the past few weeks. I've been getting lots of hints to come back recently. In real life I met someone called Dashawan... really, lol. Also a Watto, a Saarlak and an Aianodashi. This comment was edited by Jaina D'Kana on Dec 24 2015 04:44pm. That sounds good I think I will be around holidays. Do you have any suggestions on server? so with the holidays coming closer, I might have a bit more time to relax . I was wondering if you wanted to meet sometimes on a server and catch up. What days and times are u usually free? Hi Dash, thank you for the information. I will possibly try out that server you mentioned, again. Good to hear (read ) that nobody lost. I can imagine that you are busy irl now. I wish you an enjoyable moving into your new apartment and a nice remainder of the week. Oh, well, so I am looking forward to read your e-mail again. Hi Dash, thank for your reply. Well, I see, I haven't played JKA for longer time, too. Maybe once in the future, we will meet on the mentioned servers again. Excepting the Zachry's server, where - as you know - Zachry himself is needed... But, I haven't heard of him /talked to him for ages.. He has somehow disappeared. Gotcha. Guess now it's just a matter of time til we run into each other. Do you have skype? It's what we use now to meet up and choose a server. Also, I can put up a temporary home server whenever we want to play just so we can have whatever we want (and base!). My address is zachrydkana. This comment was edited by Zachry D'Kana on Aug 19 2015 09:28am.